Game recaps, injury updates, Canadiens and Flyers swing a four-player trade, and more in today’s NHL morning coffee headlines. NHL.COM: Philadelphia Flyers rookie goaltender Carter Hart collected his eighth straight win backstopping his club to a 6-2 drubbing of the Anaheim Ducks. Hart tied Jocelyn Thibault as the only two goalies in NHL history to win eight straight games before their 21st birthday. Flyers GM Chuck Fletcher confirmed Hart would remain with the club for the remainder of the season. While the Flyers have points (9-0-1) in their last 10 games, the Ducks have just two victories in their last 21 contests, sending them tumbling to the bottom of the Western Conference standings. SPECTOR’S NOTE: Hart’s the biggest reason behind the Flyers’ recent resurgence, providing them with the quality goaltending that was lacking earlier in the campaign. As for the Ducks, injuries and a lack of scoring depth have crippled them this season, but I also believe general manager Bob Murray’s reluctance to fire head coach Randy Carlyle is another contributing factor. It’s apparent the players have tuned out Carlyle. Big changes are required in Anaheim and they should start behind the bench as soon as possible. **UPDATE** The Ducks fired Carlyle this afternoon. Murray will take over as the coach on an interim basis for the remainder of the season. John Tavares’ overtime goal lifted the Toronto Maple Leafs over the Montreal Canadiens 4-3 (Photo via NHL Images). John Tavares’ overtime goal gave the Toronto Maple Leafs (71 points) a 4-3 victory over the Montreal Canadiens, opening a two-point lead over the latter for second in the Atlantic Division. Earlier in the day, the Canadiens shipped David Schlemko and Byron Froese to the Philadelphia Flyers for Christian Folin and Dale Weise, placed defenseman Karl Alzner on waivers, and placed Paul Byron (forearm) on injured reserve as winger Andrew Shaw returned to the lineup. SPECTOR’S NOTE: A bit of tinkering here for both clubs, with Schlemko and Weise as the notable players in this deal. By moving Schlemko to the Flyers, the Canadiens shed his $2.1 million salary-cap hit through next season while bringing back Weise ($2.35 million through 2019-20), who was a popular checking line forward during his previous tenure in Montreal. The Canadiens sent Weise to their AHL affiliate but there’s talk they’ll try to bring him up into the roster soon. Schlemko, meanwhile, is expected to skate alongside promising Philippe Myers on the Flyers’ blueline. The St. Louis Blues picked up their fifth straight win by nipping the Nashville Predators 3-2. Blues rookie goalie Jordan Binnington picked up his ninth win in 11 starts and teammate Vladimir Tarasenko stretched his points streak to seven games. The Blues (57 points) maintained their grip on the final wild-card spot in the Western Conference. San Jose Sharks center Joe Thornton collected two assists to tie Gordie Howe (1,049) for ninth on the all-time list in a 5-2 win over the Edmonton Oilers. Kevin Lebanc tallied a hat trick for the Sharks. Following the game, Oilers head coach Ken Hitchcock criticized his players’ performance. “At this time of year, the coaches can’t want it more than the players,” he said. The Oilers (53 points) are four points out of a playoff berth. SPECTOR’S NOTE: The players are a disheartened bunch right. They’ve tried their best since the All-Star break but their lack of depth is hampering those efforts and hurting morale. Scolding them won’t overcome those issues. Jacob Markstrom made 44 saves and Elias Pettersson scored the winner in a shootout to give the Vancouver Canucks a 5-4 win over the Calgary Flames. Pettersson also collected two assists in regulation. Flames winger James Neal lost some teeth after being struck in the mouth by the stick of Canucks defenseman Alex Biega but he was able to finish the game. 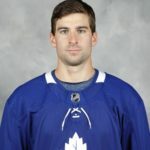 Biega received a double-minor penalty. Earlier in the day, the Canucks revealed sidelined winger Sven Baertschi is dealing with post-concussion syndrome. Pittsburgh Penguins captain Sidney Crosby surpassed Mario Lemieux for most games played in franchise history (916) in a 5-4 loss to the Tampa Bay Lightning. The Penguins (63 points) have dropped four straight and cling to the final wild-card berth in the Eastern Conference. An overtime goal by Patrice Bergeron gave the Boston Bruins a 5-4 victory over the Los Angeles Kings. Before the game, the Bruins honored Bergeron for recently playing his 1,000th career NHL game. The Kings also activated forward Trevor Lewis off injured reserve. Third-period goals by Conor Sheary, Connor Mittelstadt, and Kyle Okposo carried the Buffalo Sabres to a 3-1 victory over the Detroit Red Wings. The Sabres (61 points) sit two points behind the Pittsburgh Penguins for the final wild-card berth in the Eastern Conference. The Minnesota Wild snapped their four-game losing skid by doubling up the New Jersey Devils 4-2, handing Devils goalie Cory Schneider his 20th consecutive loss. With the win, the Wild (59 points) hold the first wild-card spot in the Western Conference. Ryan Pulock scored twice, including the winner in overtime, as the New York Islanders edged the Colorado Avalanche 4-3. It was the Avs’ sixth straight defeat, putting them three points behind the St. Louis Blues (57 points) for the final wild-card berth in the West. Ottawa Senators goaltender Anders Nilsson made 44 saves as his club downed the Winnipeg Jets 5-2. Mark Stone scored twice against the Jets, who’ve dropped three straight games. SPECTOR’S NOTE: Maybe the Jets’ recent slump puts more pressure on GM Kevin Cheveldayoff to swing a deal before the trade deadline. The Arizona Coyotes ended a five-game losing skid by holding off the Dallas Stars 3-2. Alex Galchenyuk scored twice for the Coyotes (53 points), who sit four points out of a Western Conference wild-card spot. Stars defenseman Roman Polak left the game in the first period with an upper-body injury and is listed as day-to-day. Mike Hoffman’s overtime goal gave the Florida Panthers a 5-4 victory over the Washington Capitals, giving the Panthers their sixth win in their last eight contests. Brett Connolly scored twice for the Capitals. Cam Atkinson scored the game-tying and winning goals as the Columbus Blue Jackets rallied to down the Vegas Golden Knights 4-3. Fixed. I was looking at his remaining salary and forgot the rest was buried in the minors. Thanks again. It was a great game and very entertaining . Re: StL in play-off spot (tied with Van but with : games in hand)…. Kudos Craig …. nice turn around …. if things stay as is… opening play-offs in Cgy !!! The Pens Bolts game also entertaining and close. If Car beats NJ today; Pens are outside of the play-off picture. Habs/Leafs game was great. It was clear that TO has a better 4th line than Mtl. In that game at least Mtl’s other lines could hold their own. I rhink it mean Bergevin is looking for a 4th line centre after the acquisition of Weis. Weis on the 4th line with Delaurier on the other wing makes for a gritty line, except at centre. I think the Leafs might be in tough vs the Habs only because they would have ALL the pressure. The Habs were never expected to even make the playoffs, and even if they don’t now, it would still be ok; disappointing, but ok. I feel like were missing someone(s) today? Cant put my finger on who though? Hey Lyle check fd with another great hockey comment! Lol such a putz you’re maybe get out of your moms basement and enjoy life instead of trolling. That was the worst outcome for the bruins the leafs Habs going into ot! “We never accept and they were accepting and that is unacceptable.” Bob Murray explaining the Ducks. That there is some Jean Chretien level explaining.